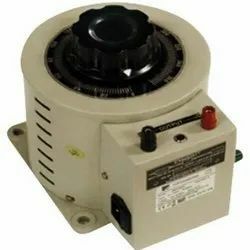 We are a leading Manufacturer of variable auto transformer from Ahmedabad, India. We are offering Variable Auto Transformer to our clients. With vast industrial experience, we are involved in manufacturing, supplying and exporting a wide range of Servo Voltage Stabilizer to our esteemed clients. Offered product is widely preferred for efficient working operations.